Welcome to Bethville! 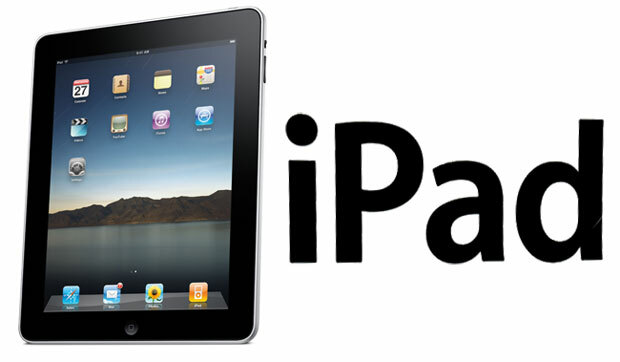 : Surprise Mom With a New iPad! Surprise Mom With a New iPad! "Surprise Mom With a New iPad" said the spam in that old Yahoo account where I keep all the forwarded emails from my grandma. "Spam! You are a genius!" I said aloud. What better way to surprise my mom than by presenting her with something she would neither like nor use! She would be so surprised for sure. I can just imagine what she would say to me. "Bethany. What a surprise. First of all, what are you doing here and how did you get into the house when all the doors were locked? And secondly, why are you standing at my bedside at 4 AM smiling in that extremely creepy manner?" "Oh, ha ha ha, Mom! You're always such a kidder," I would reply. "It's almost time for Mother's Day, and I'm getting an early start on my Mother's Day surprises, of course!" "What is that thing?" Mom would ask, knowing perfectly well what the gift is since it says "iPad" in large black letters right there on the box. But she would grab her glasses off the nightstand anyway, put them on, and squint away at the gift. "Oh," Mom would say. "I see now that it's an iPad. Huh." "I know! Big surprise, am I right???" "Why didn't you just call like you always do? Why spend several hundred dollars on something I'll never use?" Mom would say in a very unsurprising manner. "It's all part of the surprise," I would remind her and then run downstairs to pour her a bowl of hearty Cap'n Crunch and milk. "You do remember that I am gluten intolerant, right?" Mom would query, coming down the stairs to the kitchen in a very unsurprising pair of flannel pajamas. "'SURPRISE!' I said excitedly," I would say, excitedly because Mom is always surprised when people use "-ly" adverbs unnecessarily. "That's definitely a surprise all right," Mom would say, pouring out the cereal and reaching over to rinse out the coffee pot. "SURPRISE!" I would quickly tell her. "I replaced your coffee pot with a home enema kit! I wouldn't use that to make coffee if I were you." At this point Mom would need to sit down in an attempt to recover from her extreme surprise. "I don't know where your father is," Mom would say in an unsurprising attempt to change the subject. Giggling with glee, I would tell her, "SURPRISE! You're not married to Dad anymore. Your new husband is a jar of mayonnaise." Rolling her eyes at her new husband, who would be extremely delicious on gluten-free sandwiches, Mom would ask me to stop messing around and go find my Dad. But SURPRISE! Dad will already be on his way to his new bride, an extremely old and rare oil painting of twelfth president, Zachary Taylor. At this point, Mom will have had almost enough of my surprises. But I'm not done surprising her! Not quite yet! "Are you ready for the biggest part of your surprise?" "God, no," Mom would reply, her reluctance very unsurprising. "But it's really good!" I would reassure her. "No, thank you, you can go now," Mom would say, slowly reaching into the knife drawer for some kind of weapon. But SURPRISE! I replaced all of the knives with spicy burritos. "Fine, Mom," I would say, surprisingly backing down very quickly. "I guess I'll just go. But please keep the iPad as a token of how sorry I am." "Thank you, Bethany," Mom would say, hand still covered with spicy burrito and a very surprised expression on her face. And with that, I would leave without giving Mom her final, biggest, and best surprise, a Mother's Day card I made myself. Later that night, Mom will sit staring blankly at the television, still trying to recover from her surprise as the jar of mayonnaise attempts, very poorly, to do my dad's Sudoku puzzles, and think to herself that, yes, she was genuinely surprised by all of this. She'll go to the kitchen and get the iPad box off the table and open it. And SURPRISE! It's a human head! Jessie did just this for Christmas two years ago (the iPad part, not the mayo and burrito part), and I did think that it was a horrible idea. SURPRISINGLY, my mom loved it. Perhaps it makes her feel hip. She still can't figure out the other 50% of what it can/cannot do, but that's to be expected. All that matters is the joy in her little piggy eyes.